Patel Conservatory: From the Blog: Three times the cuteness in Winnie the Pooh Kids! Like little ducklings, the Simonetti boys file in to the Patel Conservatory every week, either with their little guitar cases slung over their shoulders, or ready to sing and dance. 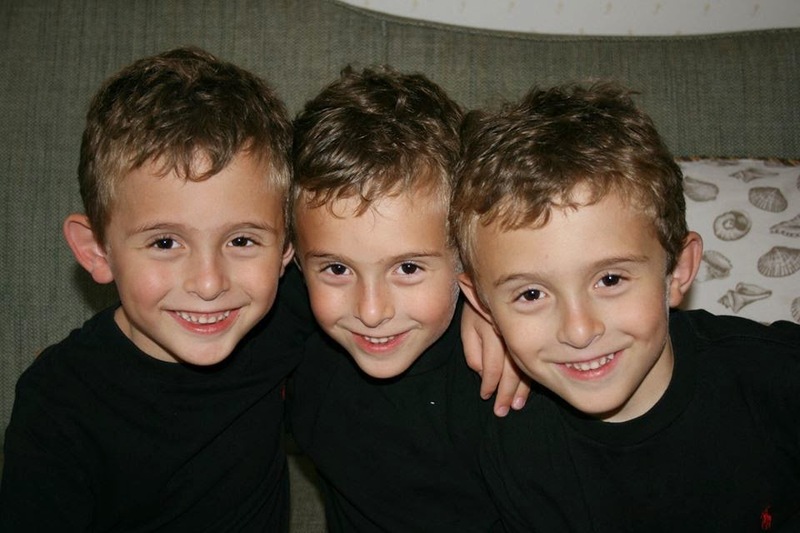 The 7-year-old triplets, Antony, Gian and Stefan, have been coming to the Conservatory for two years. They started with guitar lessons, and later added musical theater. This weekend, the boys make their stage debut in Patel Conservatory Theater’s Winnie the Pooh Kids. “They’re very excited about it,” said mom Sherri Simonetti. The boys have watched the show on TV for years, they have Winnie the Pooh stuffed animals on their beds, and even have had breakfast with their favorite Pooh characters during their trip to Disney World. Now they get to help bring one of their favorite Disney shows to life as they play a family of possums in the Hundred Acre Wood. “The songs are my most favorite part about being on stage,” said Gian. As part of a cast of more than 30 second through fourth graders, Gian, Antony and Stefan are learning more than the songs and choreography. “They can carry a tune, they have good voices, but I also want them to build confidence, and getting on stage by yourself is a pretty brave thing to do when you’re seven years old,” said Sherri. Whether practicing guitar or singing in a show, Sherri sees the boys building lifelong skills through the arts. But as far as the boys are concerned, they’re just having fun. “We like to do musical theater, music, acting...because it’s fun,” said Antony. Check out the three possums and their furry friends in Winnie the Pooh Kids, Feb. 26 through Mar. 1, 2015 at the Patel Conservatory.